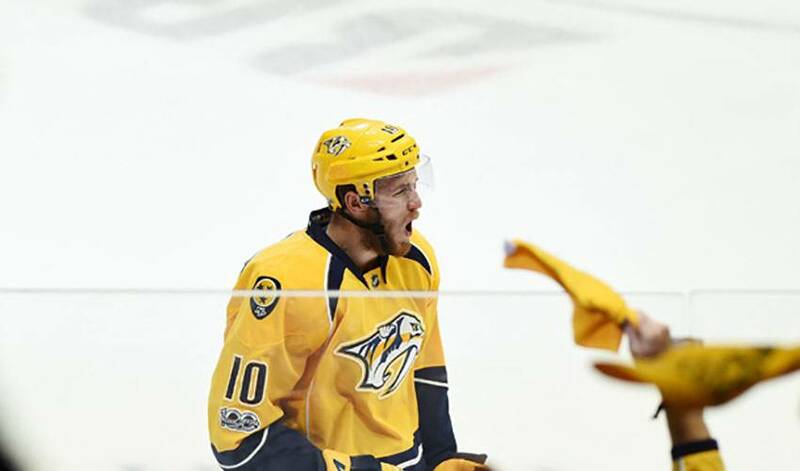 With a trip to the Stanley Cup Final on the line, Colton Sissons, playing on Nashville’s top unit alongside Filip Forsberg and Pontus Aberg, came through in a big, big way. As far as promotions go, the kid from North Vancouver came through with flying colours. Sissons, 23, netted a hat trick (on three shots), including the game-winning tally, was a plus-5, earned first star recognition and most notably, helped send Nashville to its first-ever appearance in the Stanley Cup Final. After sweeping Chicago in four games in round one, the Predators took out St. Louis in six, sending Anaheim to the sidelines in the same number of games. Nashville will now await the winner of the Eastern Conference Final, either Ottawa or Pittsburgh, to see who they will face for all the spoils. The Predators will no doubt look to the player who has gone from healthy scratch to first-line duty in their quest for Cup glory. So, too, is head coach Peter Laviolette. Sissons, who captained the Predators American Hockey League affiliate in Milwaukee last year, has five goals and five assists in 16 post-season games so far. He doesn’t need to be reminded of what awaits him and his teammates. Knowing Colton Sissons is on the job certainly gives Nashville reason to be optimistic.